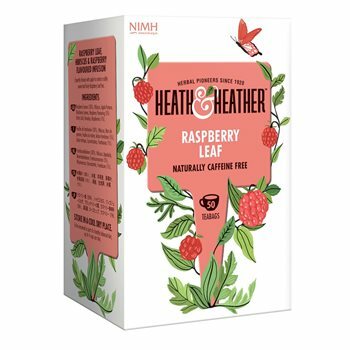 Heath & Heather have improved their raspberry tea by including raspberry leaves (Rubus ideaus) in the blend, to provide benefit to those in the late stages of pregnancy. Each serving delivers 1.0g of raspberry leaf. Raspberry leaf (50%), hibiscus, blackberry leaves, natural raspberry flavouring, apple pieces (4%), lactic acid, rosehip, raspberry pieces. Im very pleased with this product and i would most defiantly use this website again delivery was quick.